Custom hydro dipped hard hats are now available! Our revolutionary printing process gives you the chance to wear a hard hat unlike any other. Each hydro dipped hard hat is uniquely printed by trained professionals using an advanced water immersion printing process that applies a design (your logo or image) to the entire outer shell of your hat. This new method of customization means no two hard hats will be identical, so you can proudly boast a one-of-a-kind helmet nobody else on the job site has. The hydrographic process also creates a beautiful finish and each hydrographic hard hat comes complete with a protective clear coat that shields the hat from scratches and dings. All hydro dipped hard hats meet ANZI/OSHA requirements and are safe to use anywhere protective headwear is mandated. You can customize your preferred style hard hat from three industry-leading brands including MSA, ERB, and Fibre-Metal. Take a look at some of the hydro dipped hard hats we've printed and call now to place your order. 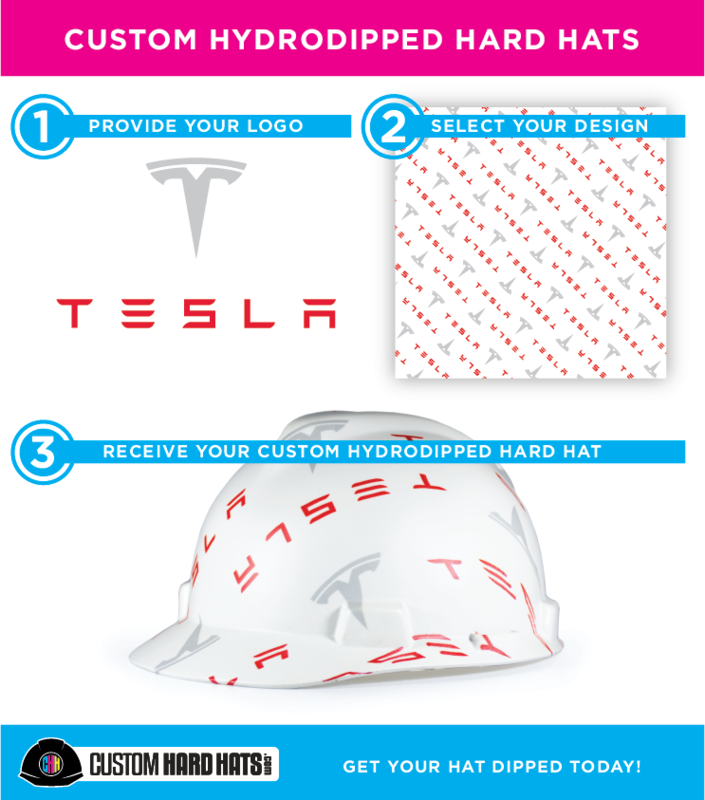 Fill out the following information and a customer service representative will contact you with a custom hydro dipped hard hats quote as soon as possible. We look forward to working with you!